Dirty politics, abandoned loyalties, live music, paint thrown around and questions about the role of individuals and the state … The plot of An Enemy of the People could be a big screen thriller in the cinema. Instead this is probably the best of a new generation of theatre that will play on the island of Ireland this year, courtesy of the Belfast Festival. It’s also the only time you’ll ever see a paint fight in the Grand Opera House. Get a ticket and don’t miss it. 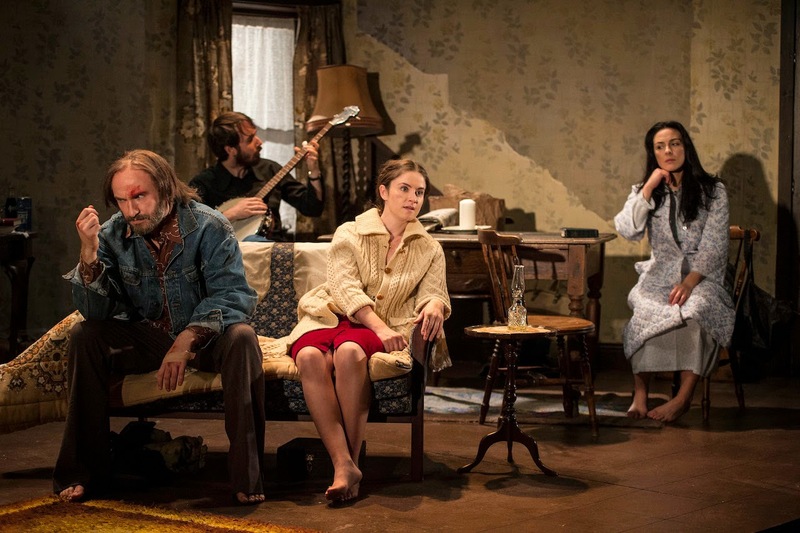 A spectacular play, with the cast of seven – not to mention a huge dog that gets its own hotel room – delivering gripping performances as they delve into the personal and political powerplays behind a stinking spa town and our putrid society. Spa baths are built in a town to offer health treatments to people feeling under the weather and to attract tourists to the region. All goes well until Dr Thomas Stockmann – who first suggested the baths – discovers that the life-giving water is poisoned by upstream factories and is causing illness. It must be fixed. The town isn’t as extraordinarily healthy as people think … our baths are a pesthole … a filthy brew seeping into the groundwater [causing] infections, diarrhoea and skin rashes. A local councillor who runs the baths – his brother – fights back saying that closing the facility for two years while issues are rectified would be disastrous for the economy and burden local residents with the upgrade costs. It must stay open. The opposition will sensationalise the results [of the water testing] and then we’ll have an inquiry. Thomas takes his fight to the local newspaper whose staff offer support until they come under pressure from the council. Is disclosure a confidence-reducing scandal? Or is suppressing the truth a bigger scandal? Can they opt to silence and demonise the whistle-blower, covering up the truth “for the common good”? A blogger might argue that Thomas should have self-published his analysis online and hoped that his message would go viral. The press today still have enormous power, and a responsibility to wield it wisely. With Wikileaks and Edward Snowden’s revelations, and closer to home staff speaking out in the NI Fire Service and NHS, the establishment’s reaction to whistle-blowers has dominated headlines. It never hurts to have the majority on your side. Can the doctor remain true to his convictions or does everyone have a price for which they’d conveniently suppress their conscience and community spirit in favour of personal gain and an easy life? The Stockmann household is bourgeois and maybe even a tad bohemian, with the thirty-somethings jamming in a band around the kitchen table while a baby tries to get to sleep. Amongst the politics there is space for humour – both funny lines and playful acting. Live music (classic covers like David Bowie’s Changes and Survivor’s Eye of the Tiger) punctuate the first few acts before morphing into beat-boxing and eventually silence. Lit from the front rather than above, long shadows are cast over the volatile action. 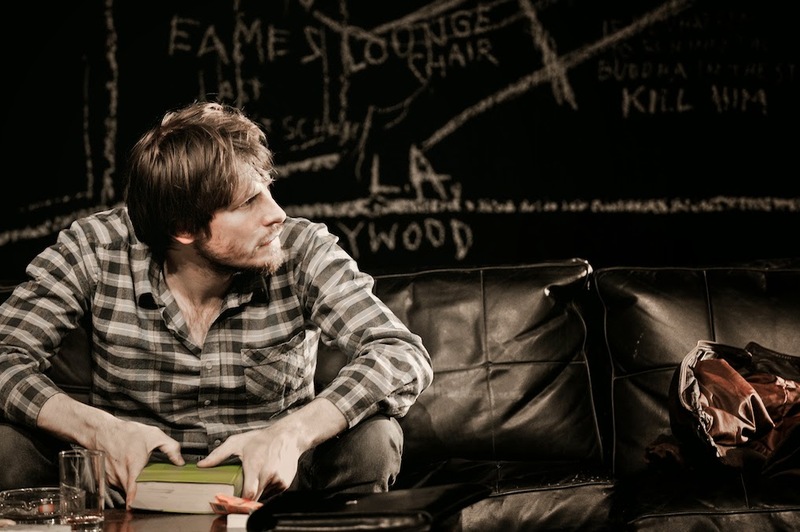 The set is a giant blackboard whose chalk annotations are amended and painted over as the plot progresses. Close up personal interactions between the characters are as beautifully directed as the explosive paint-bombing from the stalls that accompanies the final character assassination. The contaminated water comes from another morass, the morass of our politics … The scandal must come to light. 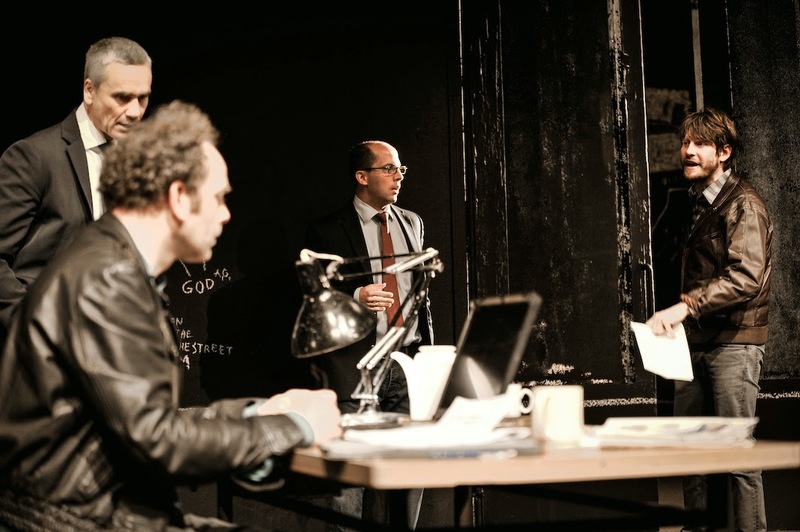 Two thirds of the way through the production, theatrical boundaries are pushed to one side when a public assembly is organised to give Dr Stockmann a platform to voice his concerns about the state of the town. He ignores the specifics of the spa and instead addresses “bigger things” – the wider ailments that cripple society – including mass personalisation, individualism, rampant depression and political disaffiliation. The economy is not ‘in’ crisis; the economy is the crisis. The floor is opened up for the audience to have their say as actors step through the fourth wall and encourage dialogue. I can’t imagine Belfast Festival audiences turning down the opportunity to get a few things off their chests about our local economic and political situation. The original 1882 Henrik Ibsen script has been updated by Florian Borchmeyer for Schaubühne, the leading German repertory company. With a full time ensemble of actors they première ten new plays every year alongside their catalogue of 30 existing productions. At the moment, they’ve six productions running, three of which are touring internationally. I was fortunate to see the play last week as it passed through London’s Barbican, after which it paint-bombs its way to Moscow, Belfast, Cluj and Lausanne. The play is performed in German, with English surtitles (like subtitles) appearing above the cast. You quickly adapt to catching the dialogue as the lines appear, and filling in the gaps as you become engrossed in the high energy physical interactions. 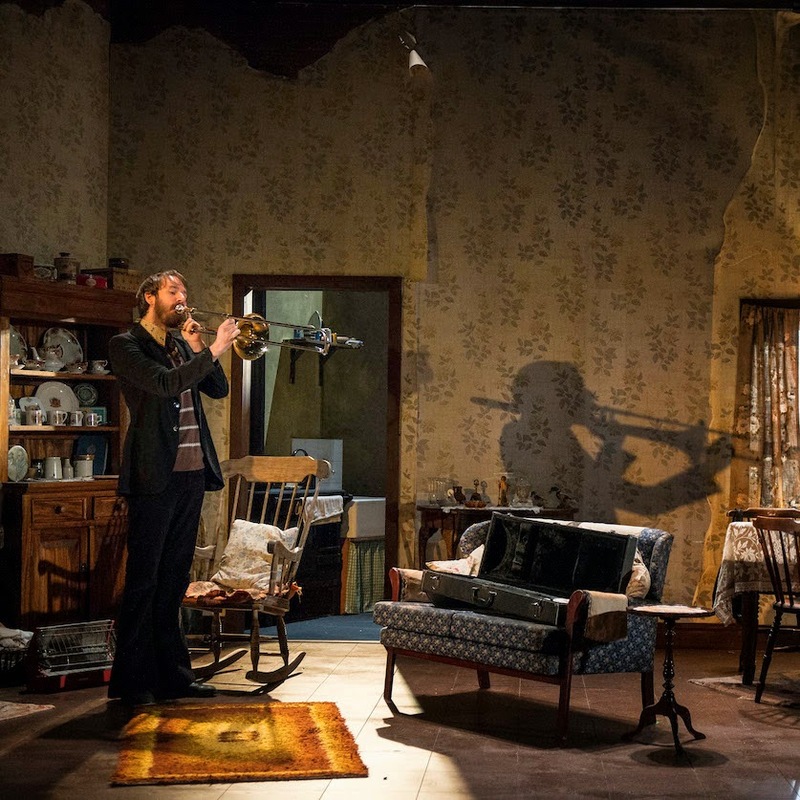 An Enemy of the People is in the Grand Opera House from 23-25 October as part of the Belfast Festival. Not to be missed. He’s taken the play around the world over the last two years. Earlier this year, performing in Istanbul on the eve of the anniversary of the Gezi Park protests, a newspaper accused Schaubühne of “an act of propaganda by Germany to bring down the Turkish government”. Everywhere I go people tell me ‘our town is a perfect spot for this play’. ... it is important that arts still go [to Russia] and try to keep the thin line of exchange and communication [open]. While Ostermeier hasn’t been in Belfast before but shares that one of his favourite books is Eureka Street by Northern Ireland author Robert McLiam Wilson. By the time the three night run is over he’ll have a better understanding of our politics and what matters to audiences. Brought up in an area of Bavaria that he describes as “very Catholic” and “very conservative”, as soon as the Berlin Wall came down he moved across to study and train in East Berlin. 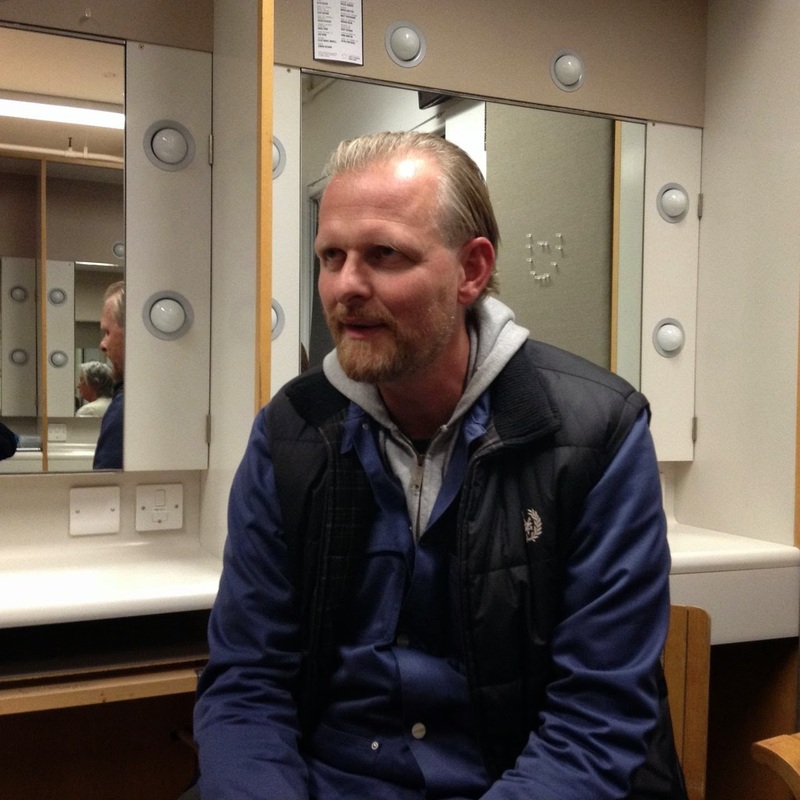 Ostermeier and Schaubühne have been slowly working their way through Ibsen’s plays, updating them and reimagining their endings. Only one remains – Rosmersholm – which the director is now carrying around in his coat pocket. 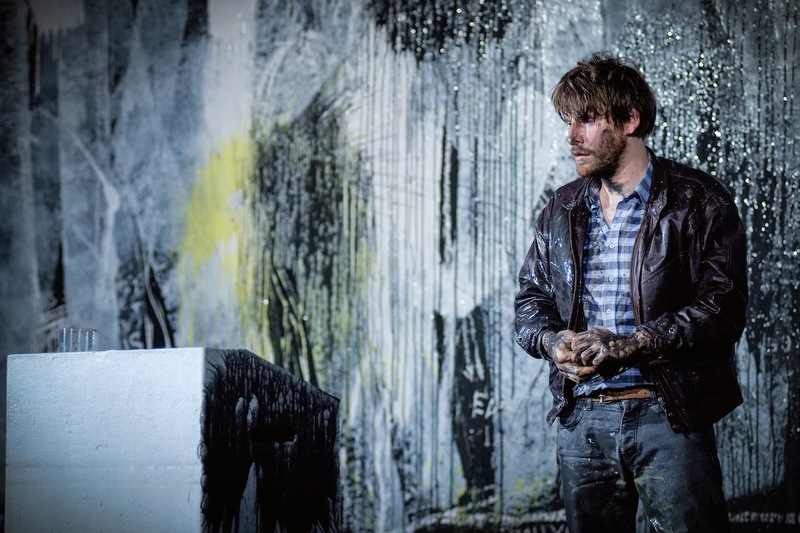 While Ibsen is “quite a mechanical well-made playwright”, strong storylines provide the scaffolding Ostermeier adapts to reflect the “conflict of nowadays”, making the characters “more colourful and ambivalent”. He senses that our 21st century “crisis of democracy” is really a “crisis of our political system”. And the financial crisis has political roots “started in the 1980s with the deregulation of financial laws”. From last Wednesday night’s experience, Ostermeier and his Schaubühne company succeed in performing a contemporary and thought-provoking play that is very relevant and tuned into society’s heartbeat. There’ll be a post-show talk “Has Austerity been Good for Europe?” with director Thomas Ostermeier and members of the cast in the Grand Opera House on Friday 24 September. More Than a Flag which commemorates East Belfast's participation in the First World War with local bandsmen and Dan Gordon (Thu 23-Sat 25 Oct in Ballynafeigh Orange Hall). Thanks to Norwin/Destroy All Onions for a tip off the other night that e and Euler were being features on Radio 4’s In Our Time. My first PC in work – some twenty years ago – was a 486 (50 MHz) machine. In those days, staff could choose their own hostname, and since there was already a series of computers named after mathematicians on the floor, I added to that list and plumped for Euler. Euler is long dead – both the mathematician (died in 1783) and my first PC (which is no doubt rusting away and polluting a landfill). Leonhard Euler was born in 1707 and schooled in Basel (Switzerland). He was nearly pushed into being a pastor, but went into mathematics, worked and married in St Petersburg (Russia), and transferred to Berlin before later returning to St Petersburg. Married to Katharina, they had 13 children; however only 5 survived beyond childhood. After her death, he married Katharina’s half sister Salome Abigail. He became almost blind in his right eye, developed a cataract in his left, before becoming almost totally blind. Not an easy life, but a tremendously prolific and productive one mathematically. No pun intended, but Euler was a polymath, curious about nearly every discipline of mathematics in those days. He provided the solution to the Seven Bridges of Königsberg problem. He also contributed to physics and astronomy. 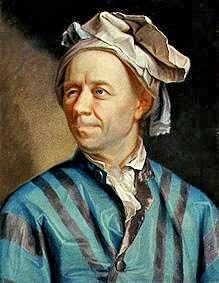 To modern students of maths, he’s probably best known for Euler’s formula and the beautifully elegant Euler’s identity. … the only piece of mathematics that I’ve had to prove from first principles since graduating from university. During an afternoon coffee break ten years or so ago, a summer student in work (who did engineering rather than applied maths), wondered how it could be proved. One paper napkin later, happy student. But my maths has faded, so don’t ask for a repeat performance. Thankfully lots of other (non-mathematical) parts of by three year degree have come in useful during twenty years of employment in the IT industry: mostly social skills and tea drinking, though debugging programmes and learning Unix for fun might feature too. You can find out more about the history and simplified explanations of the mathematics behind Euler’s number and the man himself by listening to this week’s episode of In Our Time. It was a great listen while mowing the lawn for the last time this year. Melvyn Bragg was joined by Colva Roney-Dougal, June Barrow-Green and Vicky Neale for the episode that I suspect the presenter will glad to put behind him! 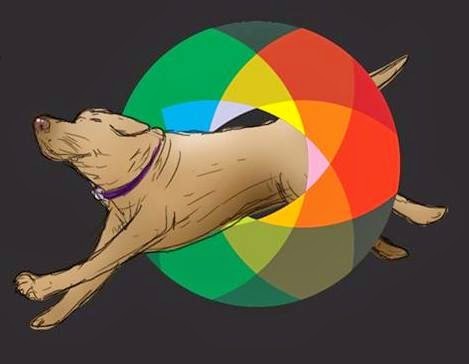 Google marked Euler’s 306th birthday with a doodle. Local digital TV stations are popping up in EPGs and list of channels across the UK as the Ofcom-awarded licencees finally come on air. On Monday 29 September at 6pm, Freeview channel 8 and Virgin Media channel 139 will switch from a testcard to NvTv’s new schedule of programming for Belfast and the surrounding towns. The programmes should be streamed online too. 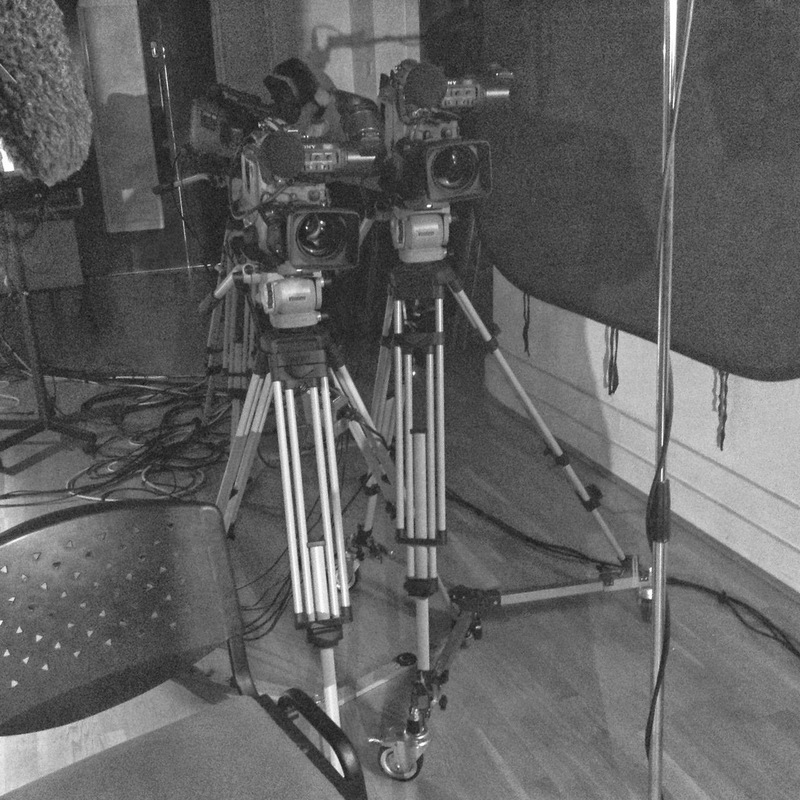 NvTv will be the first new station in Belfast … since NvTv launched the last time! It previously broadcast as a community TV station from an analogue transmitter for around 4 years until digital switchover ended its run. Jeremy Hunt MP - the then Culture Secretary - championed the revival of community stations on a UK-wide basis, saying that local TV would "offer communities a 'new voice' and provide local perspectives directly relevant to them". I spoke to Dave Hyndman in Northern Visions at lunchtime today to find out more about the channel and what viewers can expect. A countdown clock in one of the offices noted that there were 60 hours until launch. Hyperlocal TV is a very different beast to most of the channels we're used to. With a variety of economic models and very limited finance, the programming and genres may be more limited than BBC or UTV - Dave describes their programmes as offering "a lot more room to breath” - but the ambition is unrestrained. Northern Visions is a non-profit organisation, and its management see themselves as artists rather than media moguls. A portrait of artist Neil Shawcross will be broadcast on the opening night. And NvTv promise to continue their programming with young bands. Dave is sanguine. While he notes the strong local advertising sales in Nottingham, he also admits that the community TV industry is bound see some changes and licensee swaps as the “experiment” evolves. However, he's confident that Northern Visions have the experience and formats to sustain their channel. From Monday evening, the viewers can decide. Set around the time of the Ulster Workers Council strike in 1974, Stewart Parker’s last play Pentecost feels like it was written to get a lot of things off his mind and shared in perpetuity. 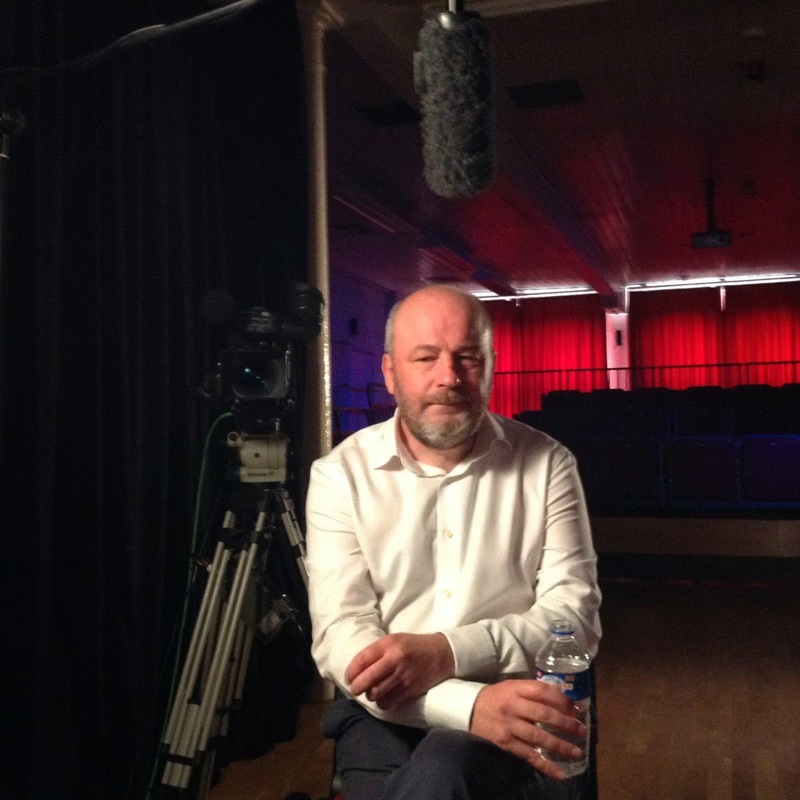 It’s a multi-layered affair that continues to speak into a fractured Northern Ireland more than 25 years after it was first staged, though perhaps with less power as audiences refresh and direct experience of the conflict fades. At its simplest, the play concerns an estranged couple. Lenny (played by Paul Mallon) has inherited the last terrace standing in a contested slum area of Belfast, complete with its dead tenant’s furniture and possessions. His wife Marian (Judith Roddy) is in the antique business – “trading, buying and selling, that’s what I’m good at” – and he offers her first refusal on the contents. But she surprises him by announcing that she’s sold the business and instead wants to snap up the whole house to live in. It’s also a play about leaving, whether dying, divorce, or walking away from an abusive relationship. Ruth (Roisin Gallagher) comes to stay in the house after being hit once too often by her policeman husband. And it’s a play that painfully references childlessness, through cot death, miscarriage, infertility or abandoning an out-of-wedlock baby. Above all of that is the toll of conflict on society, the stresses it puts people and their relationships under, the impact on mental health and the excuses people make for behaviour that in any other environment would be called out as unacceptable. Due to a burglary, Lenny moves into the house he’s selling to his ex-partner. Ruth joins them. And when bohemian Peter (Will Irvine) arrives home on a visit from England, he completes the foursome. But they are not alone. 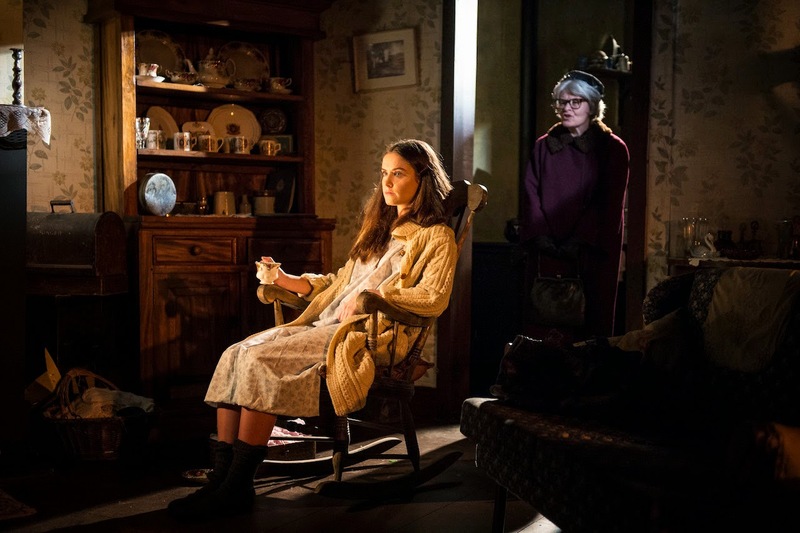 As Marian battles with her own demons she encounters the ghost of uber-Protestant Lily (Carol Moore), the former tenant. Picking through the possessions, photos and diaries she pieces together Lily’s own less-than-straightforward past. Peter is the outsider, and mirrors Stewart Parker’s own experience of moving away from his Sydenham upbringing to England and the US. Perhaps Peter’s “exileophilia” (“the opposite of homesickness”) and the constant critiques of Northern Ireland’s dysfunction can be seen as the ghost of Parker? The five scenes all take place in the beautifully recreated period front room and tiny kitchen of the terrace house – a house “eloquent with the history of this city”. There’s a dresser full of non-matching crockery and gas lights above the fire. Through the magic of Alyson Cummins’ set design, the grimy flowery wallpapered walls become translucent when the action moves into rooms behind them. The gloomy set also acknowledges the power and fuel cuts during the UWC strike. Intentional lighting casts stark silhouettes on the sparse walls. Bell-bottom flares, patterned dresses and a particularly garish yellow blouse adorn the characters trapped in the two-up, two-down. Nobody takes photographs at a funeral - except Special Branch! ... and a left field Dennis Potter-esque conversation about nuns frolicking in the surf on a deserted beach. Cast-wise, I was unconvinced that there ever could have been a spark between the distant Marian and layabout Lenny. Whereas the shameless flirting between Ruth and Peter was much more believable and they turned out to be the most watchable characters in the five-hander. However, a scene after the interval between Marian and the ghost of Lily is perhaps the most touching of the production. Stewart Parker didn’t restrain himself from commenting on and critiquing the exploits of community activists during the strike. Nearly two years after the flag protests broke out, his scolding analysis feels surprisingly contemporary. The play gets its name from the final scene which takes place on Pentecost Sunday and includes the disciple Peter’s “your young men shall see visions, and your old men shall dream dreams” address. Parker gets to preach his final sermon. With zealots on each side, he calls on the community to embrace each other’s humanity and seek the Christ inside us all. The ghost in the play departs, and perhaps the four remaining characters finally listen to each other. Pentecost was my first – albeit belated – experience of a Stewart Parker play. While it had a great set and filled in a lot of historical background that I missed from my cot, I do wish that this production had tried harder to make me care about the fate of the characters. Pentecost is in the Lyric Theatre until Saturday 18 October. It’ll be the first (and last) play you watch that features a bigoted ghost and a trombone! Update - though a couple of weeks later the Lyric served up a play with a ghost and a guitar! PS: I hope the Lyric remembered to invite the National Trust to last night’s opening! 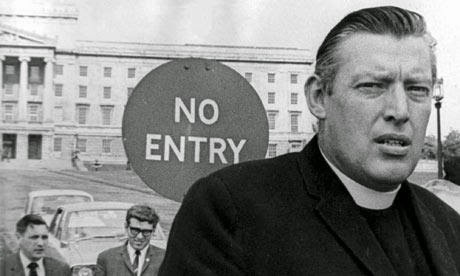 You can hear actors Adrian Dunbar and Barbara Adair discussing Stewart Parker’s play Pentecost at a June conference in QUB marking the 40th anniversary of the Ulster Workers Strike. Need to top up an old skill? Want to find out about something? With 250 classes and workshops running in their new season, the Crescent Arts Centre might well have something to scratch your itch. Beginners Japanese, French conversation, early Russian, Islamic art, Tap, belly dance, creative writing, popular/rock guitar, knitting and crochet, Dickens, origami, broadcast journalism, comedy improv and lots, lots more. Check out their enormous programme! You’re having a laugh? 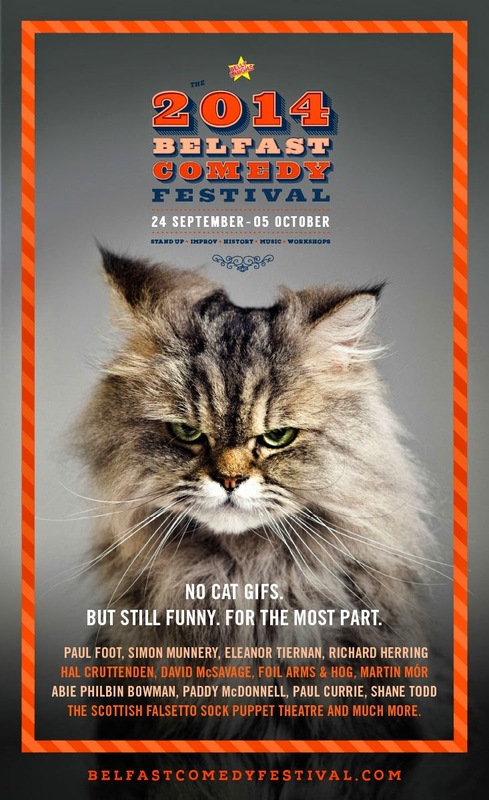 No serious, you will be between 24 September and 5 October when the Belfast Comedy Festival reaches out and tickles your funny bone. Having survived (and enjoyed) an evening in Boston’s Improv Asylum two years ago, I’d still be quite scared to go along to Wonder Frog’s improv night (8pm Wednesday 24 September, Black Box Green Room) in case the finger of audience participation pointed at me! There’s a kids improv workshop in the Ulster Hall Group Space on Saturday 27 at 9.30pm. Adults get their turn to try out improv in the Crescent Arts Centre at 2pm on Saturday 4 October. And Rosie Pelan's Crescent Arts Centre improv alumni will perform on Sunday 5 October at 7.30pm. Storytelling event Ten x 9 is back with some humorous stories (7.30pm Thursday 25 September, Black Box). The Beanbag Cinema in Donegall Street (at the back of Belfast Exposed) is running some free lunchtime screenings (12.30pm-2.30pm): Chaplin on Thursday 25 September, double bills of Bugs Bunny and Laurel & Hardy on Saturday 27 and Tuesday 30, and finally Chaplin’s first talkie The Great Dictator on Saturday 4 October. Weeping (with laughter) in the aisles is promised at the performance of The Scottish Falsetto Sock Puppet Theatre, in The MAC on Friday 26 September at 9pm. Abie Philbin Bowman is back in Belfast with stand-up in The Sunflower at 8pm on Saturday 27 September. I caught his Jesus: The Guantanamo Years show in London in June 2007. Although he’s lost his curls, he’s unlikely to have lost his twist of humour. Lastly, Paul Currie is not long back from the Edinburgh Fringe and is bringing Release the Baboons to The MAC on Saturday 4 October at 3pm (family-friendly matinee) and 8pm. Expect clowning, physical theatre, visual art and puppetry that you’ll never forget. Neither the MAC nor Bruiser Theatre Company do anything by halves! The MAC continues to play around with its venue and the staging of productions. The seats were dispensed with for one of the Chilology plays (Tejas Verdes); audience members became essential cast members in Bruiser’s Spelling Bee. 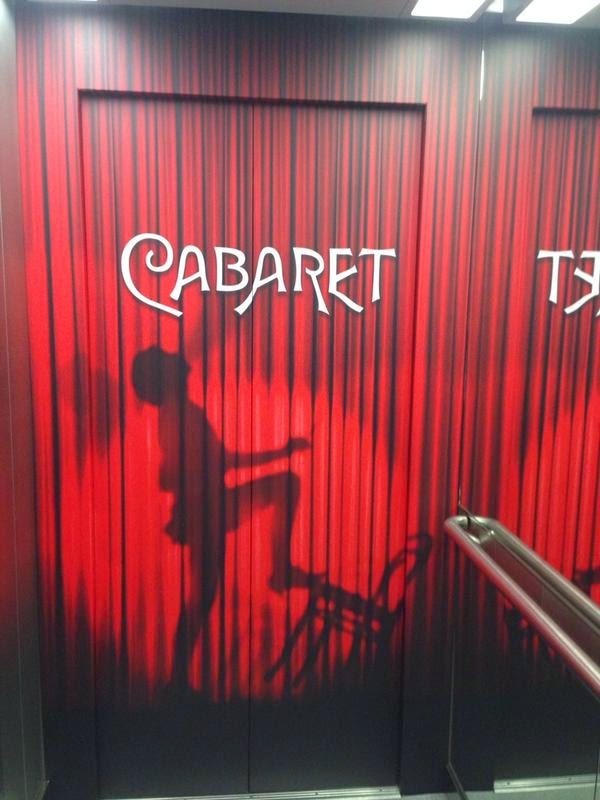 Cabaret audiences walk into the Kit Kat Klub in The MAC’s main theatre space and find a 1930s Berlin nightclub. The posh seats are around tables along three sides of the stage, with waiting staff serving cocktails, a band playing … and that’s before anyone has come on stage. The story is unfamiliar and while the plot builds up slowly, the first act (by far the longer of the two) is peppered with songs and energetic dance numbers in the club. The central romance is between Cliff Bradshaw (played by Matthew Forsythe), an American writer who has come to Berlin to work on his novel, and English girl Sally Bowles (Kerri Quinn) who sings in the club. Off the club stage, life is hectic and mixed up too. Cliff’s landlord Fraulein Schneider (Katie Tumelty who has nearly doubled in age for the role) objects to the loose morals of some of the women boarding in her rooms. All the while she is being wooed by Herr Shultz (Karl O’Neill) who showers her with exotic fruit when he visits. They make such a sweet couple. Yet the bubble is about to burst for the seedy, carefree hedonistic lives of the performers and punters in the Kit Kat Klub. The second act musically and emotionally slides into a sombre, discordant key as the reality of the Nazi upsurge hits home, testing relationships and breaking down trust. All the main characters must make life-changing decisions, and suffer consequences. 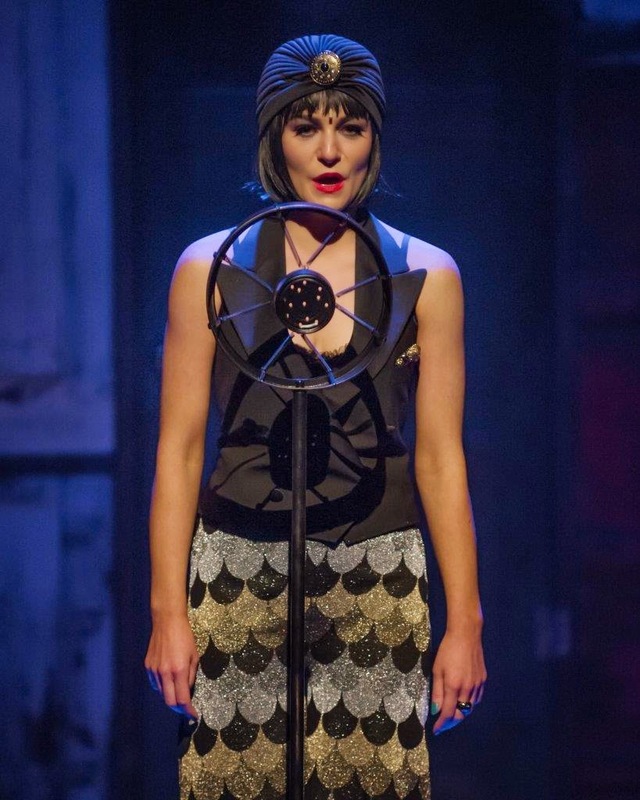 Sally’s soulful delivery of “Life is a Cabaret” is a real highlight of the show and the tune is still rattling around my head two days later. The Klub’s Emcee – played fabulously by Patrick J O’Reilly – is remarkably versatile as he swaps between playful, lewd and vulnerable. There are times that so much was going on – fast lyrics, loud music, seductive dancing – that it all got a bit distracting. And some of the dialogue scenes then felt flat in-between the bouncy cabaret songs. Humour, slapstick and unexpected entrances pervade the show. Even the lighting raises a smirk as a tiny lamp shade shoots down into position for scenes in the boarding house. And watch out for the heart shapes formed by the follow spots during one of Sally’s early songs. The delicate attention to detail across the production is amazing and becoming Bruiser’s trademark. 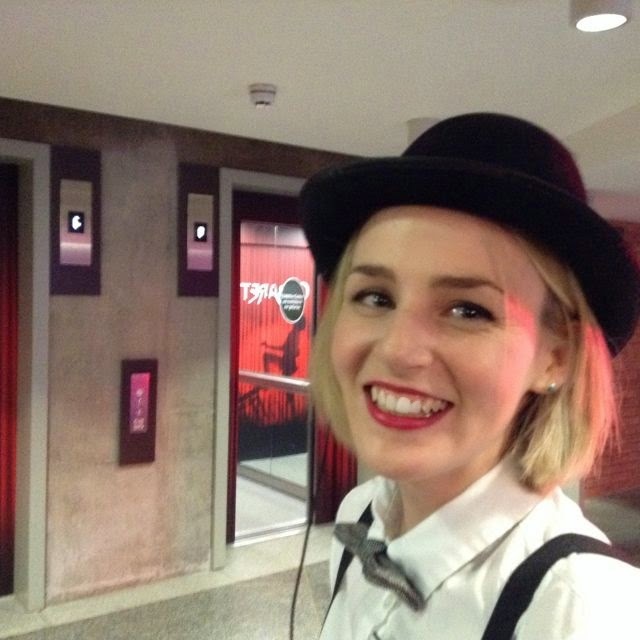 All over the MAC building, staff are kitted out in Cabaret/Kit Kat Klub style uniforms for the duration of the run. Even the interval bell has been replaced with a more period warning sound. 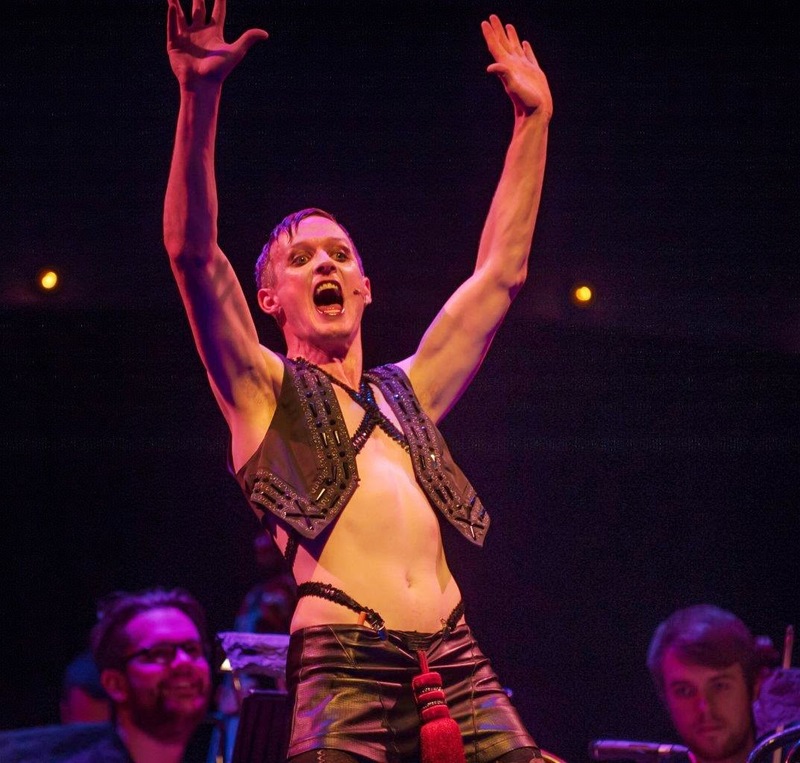 Reflecting social and political change through the mirror of the opulent yet sleazy Kit Kat Klub, Cabaret in the MAC runs until the 4 October. Several eggs and some Worcester sauce is consumed during this performance. 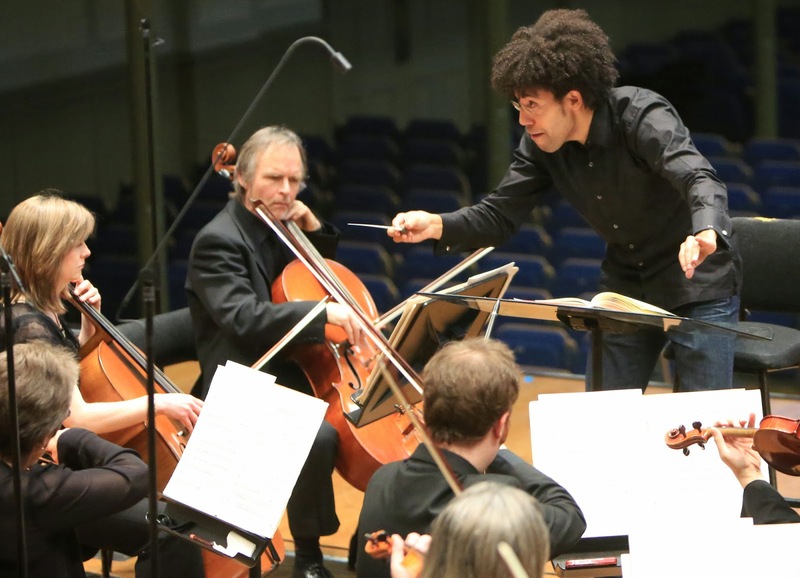 New Ulster Orchestra season with open rehearsals, conductor talks, lunchtime concerts & sci-fi! There seems to be more culture than you can shake a stick conductor’s baton at over the next couple of months in and around Belfast. The Ulster Orchestra’s new season starts tonight with a sold out opening concert that follows last night's open rehearsal. The programme over the coming months features a mix of classical concerts and guest musicians. Some special events stand out. The orchestra will team up with the RTE Concert Orchestra on Friday 14 November to perform Benjamin Britten’s War Requiem in St Anne’s Cathedral. They’ll be joined in the atmospheric setting by Belfast Philharmonic Choir, Leeds Philharmonic Choir and the Girl Choristers of the cathedral. The evening of Classical Favourites on Saturday 22 November is a family friendly treat of recognisable tunes and fanfares. The Different Worlds concert on Friday 28 November brings to life three fantastical realms including Weber’s Oberon and Dvořák’s Symphony No 9 (“From the New World”). The Snowman is back (Saturday 6 December at 2pm and 4.30pm) along with Handel’s Messiah (Friday 12 and Saturday 13 December), both in the Belfast Waterfront. Free pre-concert talks by conductors together with open rehearsals, monthly lunchtime concerts (1.05pm-1.55pm on 1 October, 22 October, 29 October and 17 December) together with work in schools and regional concerts in Bangor, Strabane, Ballymena, Derry and Dublin are all welcome (and continued) innovations. Ticket prices for many of the Ulster Hall-based concerts range from £10 for a seat in the choir stalls overlooking the orchestra up to £25. Culture Night Belfast is now well-established … and epic. Along with many other cities and towns across the island, this Friday night (19 September) Belfast will see thousands of people ambling about soaking up the balmy atmosphere. 1230-1300 – Ten x 9 – Black Box – A special lunchtime performance to hear 9 people who have up to 10 minutes each to tell a real story from their lives. 1500-1800 – CNB14 for the Under 4s ... and the Buggy Boogie! – Office of Important Art, Castle Court shopping centre – An interactive creative haven of art, photographic and singing workshops and cast your dreams upon the magical wishing tree! At 5pm the youngsters and parents will boogie all the way to Buoy Park in their very own Buggy Boogie! Look out for Belfast Met Art & Design students who are organising fun for children with origami in University of Ulster from 1600-1800. Booktrust will encourage parents and carers to tell Super Stories for Super Heroes from 1600-1800 - costumes encouraged! And children’s workshops in Translink’s bus parked up in York Street from 1600-2100. 1830-2030 – Science in the Square – Writers Square - a taster from the NI Science Festival whose science buskers will give live scientific demonstrations: the physics of balloons to 3D printers, come get your geek on with some interactive science. 1600-2200 – Big Red Rocket – Writers Square – Bright Stem (artist and designer Andrew Wood) will be creating a whopping 4.6 meter high Red Space Rocket! 1800-2100 – Belfast Roller Derby – Writers Square - Watch the Belfast Banshees and Norn Iron Maidens as they demonstrate how this hard-hitting, fast-paced sport, which is growing rapidly in popularity, is played. 1800-1930 – Belfast's Annual Slow Bicycle Race – Academy Street – The last shall be first as spectators assume the role of judge and jury (equipped with whistles and horns) as they observe the competitors over the 20m course. The rules are simple: (1) Forward motion shall be provided by the muscles of the rider; (2) No part of the competitor's body may touch the ground; (3) he bicycle must maintain forward motion at all times; (4) The bicycle must remain within the boundaries of the course. 1600-2200 – Culture Knit Fever – Cathedral Gardens – can the city’s yarn bombers construct a gigantic outdoor installation in Buoy Park? 1600-2200 – Headliners! 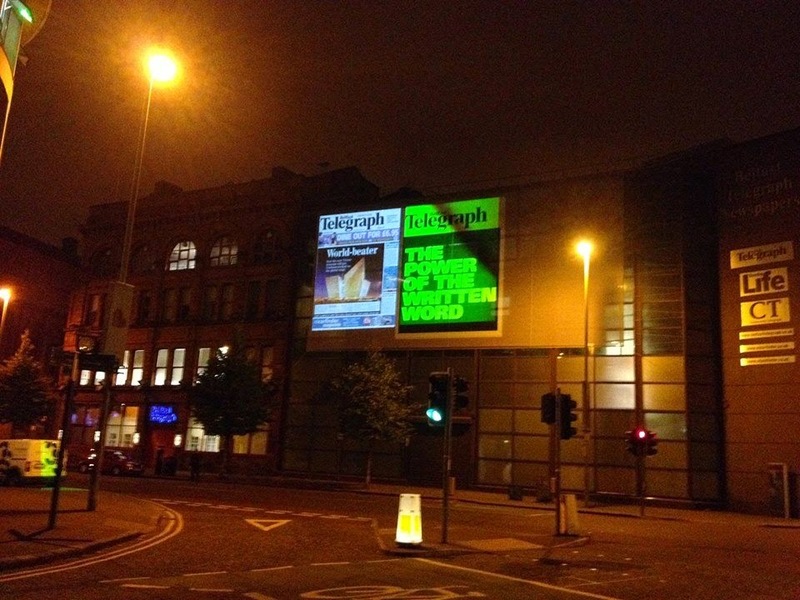 – Belfast Telegraph, Royal Avenue – Head along and see yourself on the front page! 1700-2200 – Dawsons Music Block Party – 121-125 Royal Avenue – Dawsons in association with Beat Emporium featuring live DJ sets, local musicians and Vibe Academy performers. 1600-2200 – Café Chess – Caffe Nero, 17-21 Lombard Street - Sit down and play chess with a friend, a chess player, or a total stranger. 1600-2200 – Unfolding – 70-74 Donegall Street – Jonny McEwan’s continuously developing, code-driven, generative art installation. 1600-2200 – Growing Up – Talbot Street – Every child dreams of a house but their imaginative doodles of fairy-tale palaces, fortified castles and galactic space stations rarely become a reality when they grow up. White Ink Architects have taken a 5-year-old's dream house doodle and turned it into an architectural installation, displayed for all to see and admire, that begs the grown-up question, "Is the dream beyond reach in the reality of adult life?" 1600-1800 – Not Nice Portraits – University of Ulster – Fine artist Miguel Martin will be turning his sketch pad on Culture Night participants to create some cringe worthy portraits. 1700-2000 on the hour – A Wander of Wonder Women – starting from Morning Star, Pottingers Entry – Belfast Feminist Network will take you on a wander through Belfast streets to meet iconic women from throughout history. Hear about their amazing lives as Cleopatra, Joan of Arc, Emmeline Pankhurst and other wonder women take over the city. 1900-2000 – The Methane Mardi Gras – leaving City Hall at 7pm to head into Cathedral Quarter – A grotesque troupe of fracking’s evil offspring will take over the streets of the Cathedral Quarter to disgust unsuspecting Culture Night revellers. Beware as Pollution, Disease, Rogue Methane, Gas-Flare, Flow-Back, and others have a literal Blow Out all over your city, just like they will if hydraulic fracturing is allowed to go ahead by the Stormont Executive. Brought to CNB by Friends of the Earth & No Fracking Northern Ireland. 1900-2000 – Myths of Belfast – University of Ulster – A short 30 minute film explores the city’s architectural and urban identity and finds that it doesn’t have one! Instead, it has a constantly shifting set of agreed ‘myths’ tacitly accepted as ‘truth’. Through a series of interviews with architects, planners, community activists and built environment professionals this short film attempts to document these shifts over the course of the 20th century, exposing the unplanned and arbitrary nature of ‘urban identity’. Cyclists should note that there St Anne’s Cathedral car park (off Academy Street) is offering a free and manned bike park on Friday evening. And watch out for Culture Night Radio which you may hear around the streets as well as online. Watch out for other Culture Night Extra events running in and around the main Culture Night. Saturday 1100-1200 – The Boy Who Dreamed of Space Rockets – Reading by Andrew Wood from his forthcoming début children's book. Culture Night is being celebrated in many cities and towns across Ireland this Friday. Lisburn is offering free entertainment, discovery and adventure for the second year running. The full programme (PDF) is available in shops and restaurants around the city centre. Keep an eye on @love_lisburn for updates. Lisburn Ladies Harmony Choir will be livening up Castle Gardens from 5.15pm-6pm. Later on at 7.30pm there’ll be an hour of entertainment with Fusion Theatre performing hit songs from popular musicals. R-Space Gallery on Castle Street (the old rectory) is hosting family art workshops with Shirley Brown Camblin (Garryvoe House art & craft studio) from 5pm-7pm. Local blogger Heather McGarrigle from The Patchwork Quill will be there from 6.30pm-8.30pm with knitting, pom pom making, friendship bracelets and more. Singer and guitarist Guitarbuckle will be playing live, and there's the promise of hot drinks and sweet treats too. 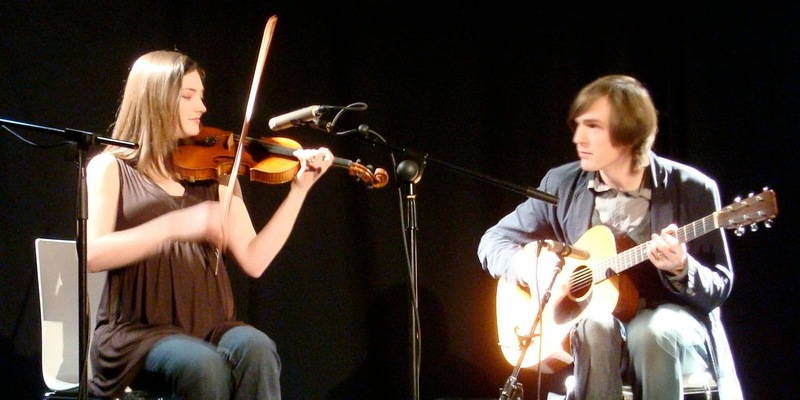 Down the street Lisburn Cathedral coffee room will be open with an acoustic two-piece Sarah and Chris Calvert performing. 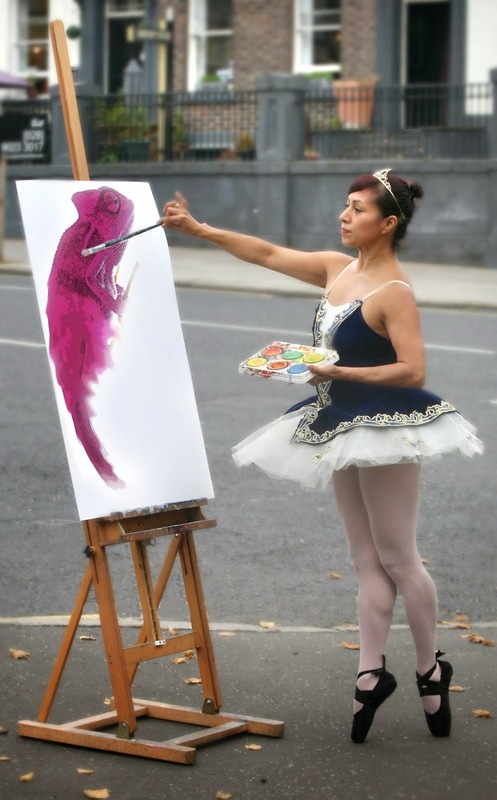 Students from SERC will be performing on the street around Lisburn along with firedancer Colleen Eardley. The YMCA on Bow Street will be open to explain how they support and empower vulnerable young people, adults and families. And there’s a QR-code based animated adventure Dog#7 from The Left hand Cinema through Wallace Park starting at the back gates (Belsize Road). The clues/codes will be in place from 4pm until 9pm. Make sure your phone has a QR code reader. Not content with singing and dancing, the Bruiser Theatre Company production involves and actors playing the music too in the Kit. Book a seat and a cocktail around one of the club’s tables, or sit back and relax in a traditional theatre seat and be transported back to the decadent but decaying world of 1930s Berlin. 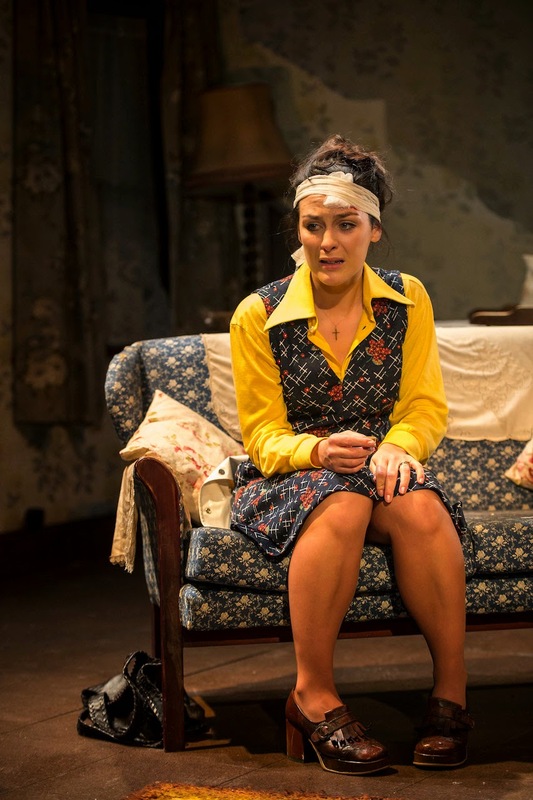 Marian has sold her business and takes up tenancy in a repossessed Belfast working-class parlour-house. Her hopes for a safe haven and fresh start are soon shattered when she finds herself bunkered down during the Ulster Workers' Strike with estranged husband Lenny, his muesli-chomping friend Peter, and her best friend Ruth who is fleeing from an abusive husband. The four have their own personal crises to reconcile before they can carve a new future. They work out their relationships to each other, the world outside and to the past while trying to envisage a future beyond bombs and reprisals. Only Marian is aware of a fifth presence - the ghost of Lily Matthews, the previous occupant. The Theatre at the Mill at Newtownabbey promises a show that audiences can sink their teeth into. The première of Jonathan Harker and Dracula features Gerald McCarthy (Hollyoaks). The new adaptation of Bram Stoker’s classic gothic masterpiece is directed by Michael Poynor and runs from 18-27 September. Age 12+. 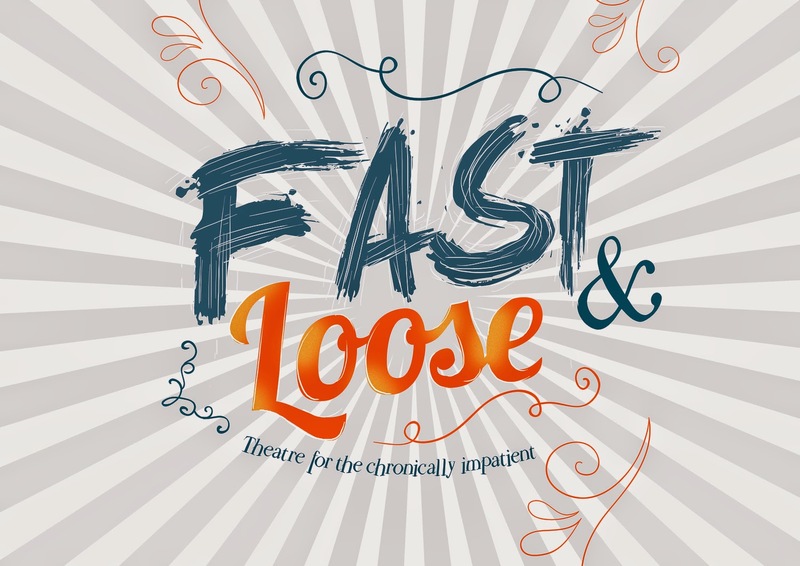 And Accidental Theatre is back for the third year in the Lyric on Saturday 4 October with Fast & Loose. Described as plays for the chronically impatient, four mini-plays are written, rehearsed and performed in a day. Starting at 9pm on Friday evening, four playwrights spend 12 hours crafting their short play, before four directors and cast take over at 9am to rehearse and finally perform the plays that evening in the Naughton Studio at 9pm. Drama doesn't come any fresher! Tickets only £5 (plus booking fee). 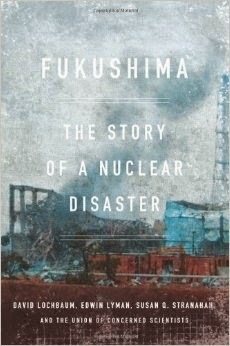 Fukushima: The Story of a Nuclear Disaster is simultaneously a terrifying and a disappointing read. The book sets out to deliver an in-depth explanation of the events at the Fukushima Daiichi reactor during and in the aftermath of the earthquake and tsunami that disrupted the operation of the nuclear power station on 11 March 2011. Even after numerous investigations and reports, there is still confusion about the exact chain of catastrophic events in Fukushima Daiichi’s four reactors and associated spent fuel pools. The inside of the damaged reactors are still off-limits to humans, water-level instrumentation was clearly inaccurate, and many of the computer models used to predict damage have proved ineffective. However, it is clear that given the loss of AC (mains) and battery power, the absence of effective cooling systems led to the core of Unit 1 melting onto the bottom of the sealed reactor vessel and hours later through the floor of the vessel and onto the containment floor where it “violently reacted with the concrete”. Hydrogen seems to have made its way to the top of the reactor building and exploded. Despite large amounts of water being pumped in, the core of Unit 3’s reactor is likely to have melted, but it is uncertain whether it breached the floor of the vessel. However there was an explosion. There was core damage in Unit 2, but uncertainty to the level of damage to containment. There was an explosion, though what initiated it and how much damage it caused are uncertain. It is unfortunate that the illustration of a boiling water reactor early on in the book (page 6) was not larger and easier to read given that the next 250 pages would refer back to the elements that make up the reactor facility. However, there is a useful appendix towards the rear of the book. The book mixes details of earthquake and tsunami with design defects, regulatory failure, government intervention, misinformation, poor decision making, population evacuations, competing analyses, human tragedy as well as heroic efforts by the Fukushima Daiichi staff. Having read the book, the information in the blog entry on 17 March 2011 now seems too optimistic, perhaps plain wrong. Today we wake to more media scaremongering. If you haven’t seen it yet, this page [dead link] from the UK Embassy (not the Japanese government), from UK nuclear experts makes it clear that Tokyo is safe from radiation whatever happens. The scale of the opportunity for venting of material from the reactor and difficulties with the spent fuel pools included fallout spreading far south to Tokyo and beyond. Pumping water into the spent fuel pools was a priority to prevent further damage and release of nuclear material into the atmosphere. … the Japanese had rejected two fire trucks offered by the U.S. Air Force because the vehicles were not registered in Japan and thus could not be legally driven on the roadways, an act of bureaucratic nitpicking that amazed the Americas. As well as being slow and ill-calculated, the evacuation plans were at times chaotic and heartbreakingly tragic. … preparations got under way to move the two hundred and nine ambulatory patients and staff out of Futaba Hospital, located about three miles from the plant. Left behind, however, were one hundred and thirty bedridden hospital residents at a nearby nursing home. The SDF [Japanese Self-Defense Force] were reportedly en route to transport them. Owing to a series of bureaucratic errors and communication mix-ups, the trips didn’t arrive for two days, during which time the facilities had no power or hear and caregivers had departed. By then, four patients were dead … Fourteen more died during the trip. But thirty-five patients were accidentally left behind, forgotten and not rescued until [two days later]. With no mains electricity or backup power, valves that could be used to vent the pressure building up in the reactor building had to be operated manually, in the dark, and in ‘hot’ areas. The lack of filters in some vents meant that radioactivity was emitted straight into the atmosphere. Meanwhile, over in the US, their Nuclear Regulatory Commission was piecing together media reports and scant information reluctantly provided by the reactor operating company (TEPCO) and the Japanese nuclear authorities. Deciding on an evacuation radius for US citizens proved difficult given the lack of accurate models and a likely conflict with Japanese government advice to their own citizens. The book is let down by its constant drift away from Fukushima Daiichi to instead overly-critique the US Nuclear Regulatory Commission. It is clear by half way through the book that the obsessive documenting of the ins and outs of relationships between the NRC’s five president-appointed commissioners is part of an agenda by the authors (David Lochbaum, Edwin Lyman, Susan Stranahan and the Union of Concerned Scientists. The lessons and fire safety regulations imposed by the NRC in light of accidents at US nuclear reactor sites have reportedly not yet been fully actioned; in once case they have not been met at the site of the accident. It that the nuclear industry is addressing the few fresh regulations that the NRC do impose with cost-conscious shortcuts rather than structural solutions that think beyond the design-limits and react to possible catastrophes rather than theoretical models. For example, portable pumping and safety (‘FLEX’) equipment is positioned around reactor sites and further backup equipment is kept within a few hours drive. However, this often overlooks any difficulty in road transport (it was very difficult to approach Fukushima by road) or the possibility that huge dams might flood landlocked reactor sites and render ground-level equipment unusable. … severe reactor accidents will continue to happen as long as the nuclear establishment pretends they won’t happen … Until the NRC acknowledges the real possibility of sever accidents, and begins to take corrective actions, the public will be protected only to the extent that luck holds out. Yet in their attempt to lobby US readers, the authors damage the tone of the book and dent the perception of having written a rigorous scientific analysis. Critics of the work question the sense of balance in the book, noting the odd omission of any mention of the coastal Onagawa nuclear power plant which was closer (half the distance) to the epicentre of the March 2011 earthquake than Fukushima Daiichi plant (and proves the authors’ point about the necessity of safety systems that exceed the minimum expected abnormal conditions). The town of Onagawa to the northeast of the plant was largely destroyed by the tsunami which followed the earthquake, but the plant's 14 meter (46-foot) high seawall was tall and robust enough to prevent the power plant from experiencing severe flooding. All safety systems functioned as designed, the reactors automatically shut down without damage, and no reactor damage occurred … Following the tsunami two to three hundred homeless residents of the town who lost their homes to the tsunami took refuge in the Onagawa nuclear plant's gymnasium, as the reactor complex was the only safe area in the vicinity to evacuate to, with the reactor operators supplying food and blankets to the needy. For anyone curious about the events in Japan in March 2011 and concerned that governments, regulators and industry may not always act decisively or transparently in the middle of disaster, Fukushima: The Story of a Nuclear Disaster deserves a place on your shelves. Two thirds of the book describes a situation that was so nearly even more catastrophic than it ended up if it wasn’t for the actions of brave workers at Fukushima who at times ignored company HQ advice and did the right thing in unforeseen circumstances. The book concludes by asking How safe is safe enough? and How much proof is enough? Questions that equally apply to Japan, the US, the UK and every other nuclear nation. Fukushima: The Story of a Nuclear Disaster is available from Amazon for £15.43 (or less from other traders). James Mahaffey’s book Atomic Accidents - A History of Nuclear Meltdowns and Disasters: from the Ozark Mountains to Fukushima also seems to be recommended for readers interested in Fukushima and other nuclear incidents. The Emergent Church Movement (ECM) is small and often written off as an insignificant bunch of post-modern people struggling with their faith and trying to find a wishy washy compromise that removes the socially awkward edges of mainstream Christian denominations and loses the rigorous theological positions. There’s also the question of whether ECM is church or is even a coherent movement. Local lecturer and sociologist of religion, Commonwealth Games marathon runner and winner of today’s Belfast City Half Marathon Gladys Ganiel has written The Deconstructed Church: Understanding Emerging Christianity along with Gerardo Marti to analyse the development and significance of ECM and draw out conclusions about its innovations. 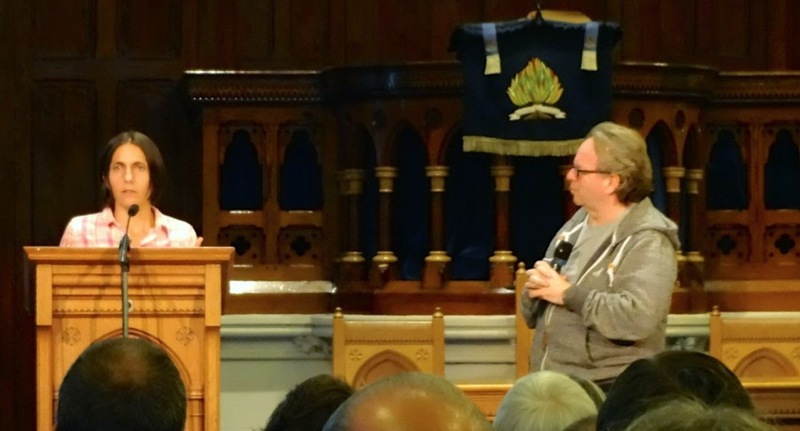 You can listen back to Gladys Ganiel talking with Steve Stockman about the book and how the topic of ECM challenges Northern Ireland evangelicalism in Fitzroy Presbyterian Church earlier this evening. Her talk was followed by a long Q&A which ended with the final questioner asking how ECM measures up to the test of the fruit of the spirit it exhibits! The book begins with a detailed description of a ”theo-dramatic performance” by Peter Rollins, Pádraig Ó Tuama and Jonny McEwan as part of a “Re-Emergence” conference that was held in Belfast in 2010. Held in a bar, candles flickering, a call to worship, an antique book used as a prop, a modern Hebrew lament sung, a ‘sermon’ preached and a novel benediction. Informal conversation follows the close of the ‘service’ as those congregated around the bar tables grasp at the possible meaning and significance of what they’ve just heard. Rollins and Ó Tuama were regular contributors to the Belfast-based Ikon collective. (Many involved with Ikon would dissociated themselves from the emergent church movement, but deep down that helps qualify them as being at the heart of ECM.) The description of the Re-emergence event felt very familiar when I think back to Ikon events I’ve attended over the years. The book’s second chapter includes more beautiful descriptions of different emergent services and events. While usually seen as emerging from Evangelical Protestantism, I can think of more Catholic-based neo-monastic communities in Derry/Donegal that certainly fit the bill too. Whether in bars and pubs, old deserted church buildings, neo-monastic settings or performance spaces, Ganiel and Marti document the gatherings of people who hold beliefs lightly, mostly based in Ireland, UK and the US. Asked tonight about the English-speaking western nature of the emergent examples, Ganiel explained that the charismatic/Pentecostal movements – also individualistic – are the main area of growth in Latin America … so there is little evidence of distinctive ECM. Many of those involved in ECM – the “dechurched” – seem connected by “what they are jointly leaving”. Some want to “subvert” the church they love, but recognise that it needs to change. The authors note that Emerging Christians seem to be creating space that is “church-ish without being church-y”. The authors see ECM as a “religious orientation” rather than a “religious identity”. Relationships “trump” other considerations, and while membership may be informal, customs and rituals do abound amongst the chaos. Storytelling and the creation of networks and alliances (social capital) are commonplace. From the range of ECM communities and examples listed in the book, the majority of “leaders” (or organisers if ECM prefers) still seem to be male. Maybe ECM isn’t quite as radical as it proclaims! The cafe is a space where absolutely anybody can feel at home – no-one is attacked with Bibles, tracts or evangelistic slogans when they come in through the door. At the same time, we try to provide a little bit of space for spiritual life in the Titanic Quarter – especially in the Prayer Garden, a light-filled little oasis of greenery and peace in the corner of the cafe, and through the presence of the team of Dock Chaplains, who are just as happy to get stuck in to a deep and meaningful natter about the meaning of life as to get stuck feeding Doris the Dishwasher! The Dock lacks a formal sanctuary, instead meeting up on Sundays at 3.33pm for Dock Walks that stroll around Titanic Quarter, pausing to reflect along on the way. They also now meet once a month on a Sunday evening in the SS Nomadic boat (rather than their cafe space). While it “may not be on the radical fringe where Pete Rollins dances”, The Dock’s peripatetic, conversational chaplaincy model sits well with ECM. You have to dismantle systems that perpetuate inequality, money, power and control. You have to stop hanging with people who are just like you. You have to give up making sure you’re the “us” and others not like you are “them”. You have to lay down your idols of comfort and worldly success. The authors rightly point out that ECM is a niche, minority network of disenfranchised Christians. Is it more that “hipster” Christianity? Is the deconstruction masking empty religion or is it confident questioning “on a perpetual spiritual quest”? The fact that some early ECM literature – like Blue Like Jazz by Donald Miller – was banned form conservative Christian bookstores adds legitimacy to the movement. I can only imagine the book burnings that Peter Rollins’ back catalogue must have suffered! In the closing chapter of The Deconstructed Church, the authors agree that Emerging Christians are “embedded agents … attempting to change Christianity from within”. It is precisely the taken-for-granted aspects of Christianity that the ECM attempts to make obvious in order to play and subvert, The ECM’s apparent informality in so many settings can be seen as an attempt to create slack in rule-following, and a space for experimentation, thus engaging the tensions of pluralism. Even in a pub, where the drinks appear to allow for a great reduction in sanctity, drinks can actually be familiar objects to hide behind (drinking with friends on a night out) while new normative imperatives flex their way into the scene. My hunch is that our world would be a better place if more people with differences came together to learn from each other, rather than allowing unwarranted assumptions to grow into ignorance, hatred an division. Around this table, instead of building walls, we tear them down. Instead of assuming, we ask, and say “Teach me.” Instead of attacking each other, we buy another round. Instead of “moving on,” we become friends. The pub may not always be the setting, but the concept is readily transferable to other situations. Reading the book as a non-sociologist and simply as a questioning Christian, I appreciate the structure that this volume provides, helping frame how the creation and development of emerging church movements can be evaluated and understood. 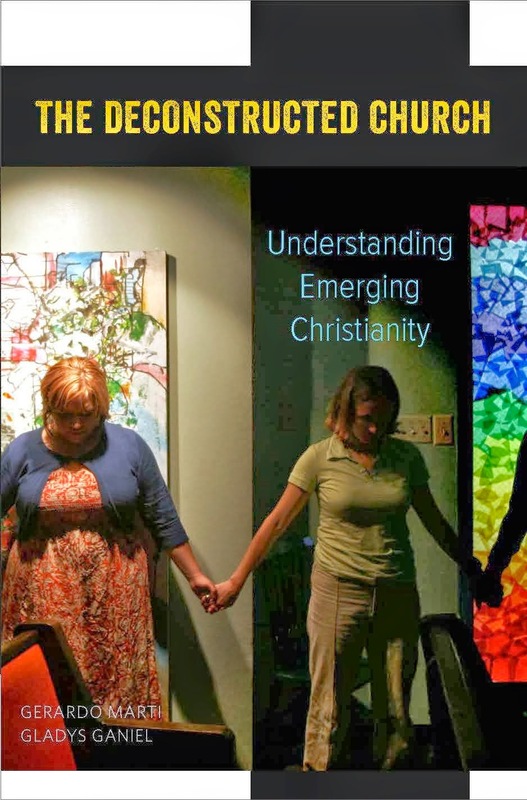 The book highlights the wider spaces and models that may be running in parallel with, or be part of, the emerging movement (eg, peripatetic chaplaincy) and – for me – starts to sound warning bells about the rising “religious individualisation” that challenges modern Christianity from all directions. Aspects of the emergent movement are (thankfully) creeping into congregations and denominations that would be embarrassed to be associated with ECM. Will the institutional embrace of emergent facets push geeky forerunners into ever more extreme rejection deconstruction of traditions, or will it provide more secure homes for those seeking faith without the comfort blanket of having to have all the 'right' answers? This book by Gerardo Marti and Gladys Ganiel certainly succeeds in setting down a foundation of material about the practices and beliefs of individuals and communities. The Deconstructed Church: Understanding Emerging Christianity is available from Amazon on Kindle (£11.84) and in hardback (£21.32). The Festival which was named “On Home Ground” by the poet before his untimely death will take place in the stunning setting of Laurel Villa, Magherafelt, and surrounding locations which inspired much of Heaney’s work and will this year be called Celebrating Seamus Heaney On Home Ground 2014, in his honour. The event, running over four days in September in the heart of the late Seamus Heaney’s homeland, will this year celebrate the life, work and legacy of Ireland's most well-known and respected poet through poetry, music and art and will bring a host of huge names from all of these worlds to Magherafelt, the district he called home. Heaney, who was born three miles away at Mossbawn, was a patron of the On Home Ground Festival and featured heavily in last year’s very successful event at Laurel Villa. This year the Heaney family have given the festival their blessing to carry on in his name. 4pm Henry McDonald (Guardian & Observer Ireland Correspondent) shares his favourite Heaney poem. £5. of a child’s eye view of the world. Free, but booking required. 1pm Seamus McKee (Presenter of Evening Extra) shares his favourite Heaney poem. £5. 2pm Belfast Noir - a discussion on this burgeoning literary genre chaired by Darragh McIntyre with panellists Stuart Neville (The Twelve), Brian McGilloway (The Inspector Devlin mysteries) and Gerard Brennan (The Point). £10. 6pm The amazing Wireless Mystery Theatre present My Heaney. £5. 8pm The Invisible Tribe - Gary Lightbody in conversation with festival curator Marie-Louise Muir about Heaney "as a central force in his creative life". £25. 8.15pm A night of music and song - Heaney and Songs of the Scribe: Pádraigín Ní Uallacháin with Zoe Conway, John McIntyre and Poets Leontia Flynn and Medbh McGuckian ... oddly accompanied by my photo in the festival brochure. £10. 1pm Liam Clarke (Belfast Telegraph Political Editor) shares his favourite Heaney poem. £5. For ticket availability, check with the box office on + 44 (0) 28 7963 1510.